(MARINA) When you think of s’mores, you think about fire, a starry summer’s night, and marshmallows. 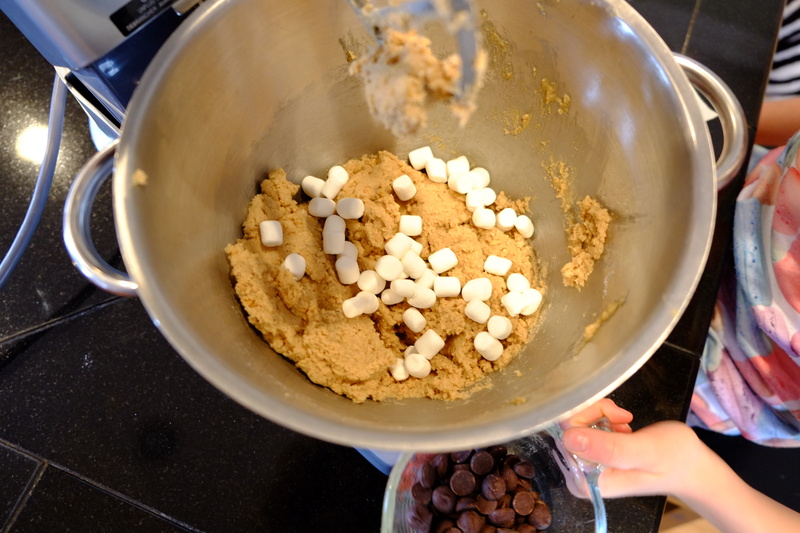 But when you think about Jumbled S’more Cookies, you think of much, much more. Those delicious, warm, gooey sandwiches get all jumbled up into a nice – less messy – round cookie. Yeah, s’mores are fun to roast and fun to make, but when you make these cookies, you get the pleasure of summer’s classic dessert, anytime! The dough is so pretty, it makes your mouth water. Trust me, I know. With all of those tiny marshmallows and chocolate chips. It was a really fun process making the dough and it reminded me of when I make s’mores with toasty marshmallows outside in my backyard. 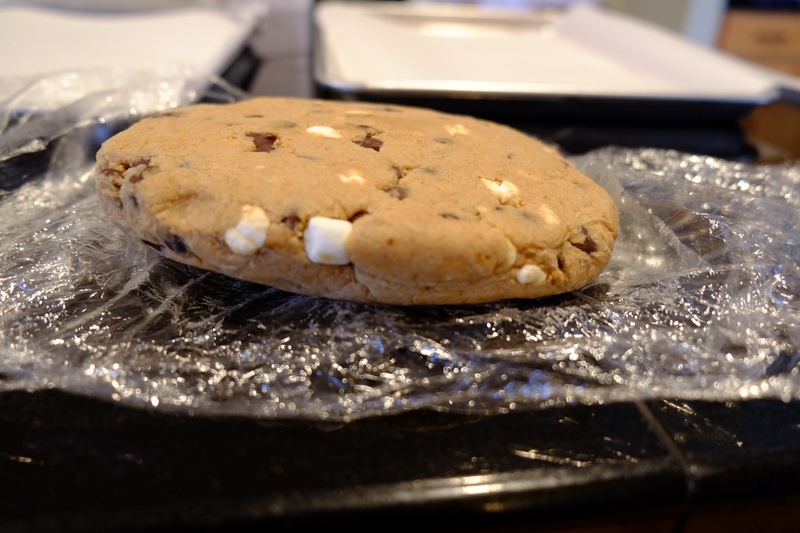 You can really see the resemblance between the real s’mores and this jumbled up cookie kind. 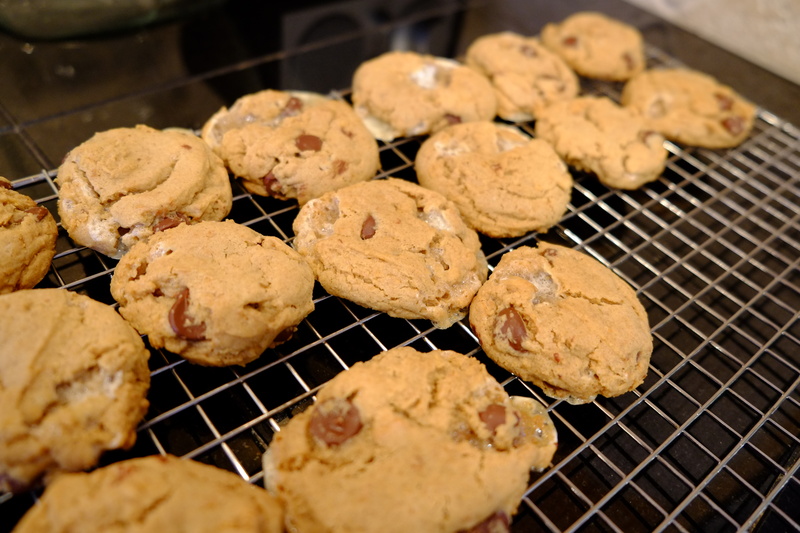 Don’t wait for the sun: Snow, rain, wind – these cookies don’t mind the temperature outside! 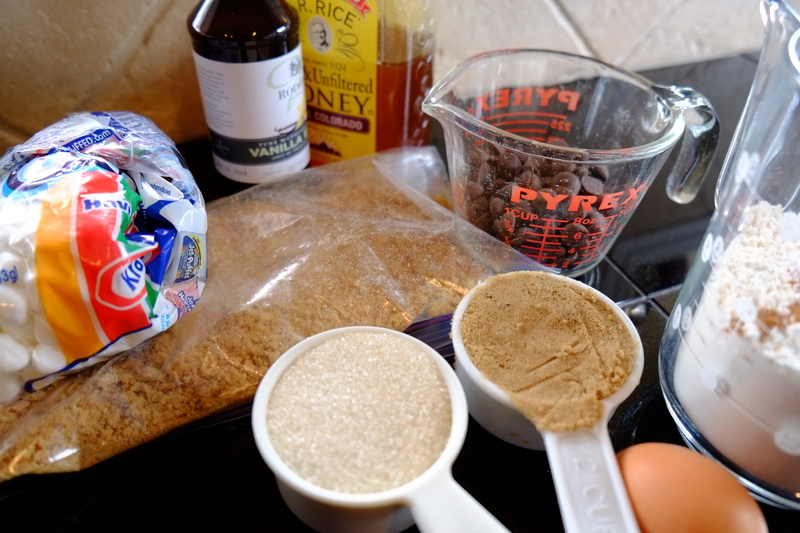 Put the graham crackers in a zip-tight plastic bag and whack them with a rolling pin until you’ve got course crumbs. 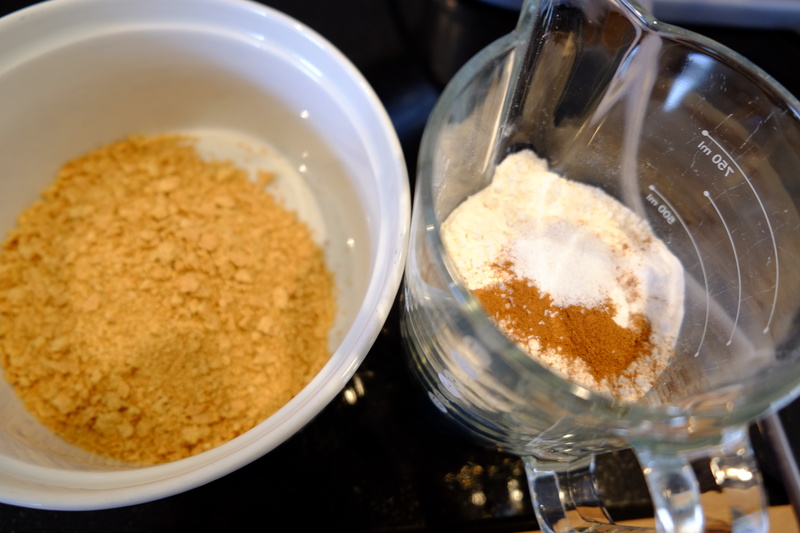 In a medium bowl, whisk together the cracker crumbs, flour, cinnamon, baking soda, and salt. Set aside. 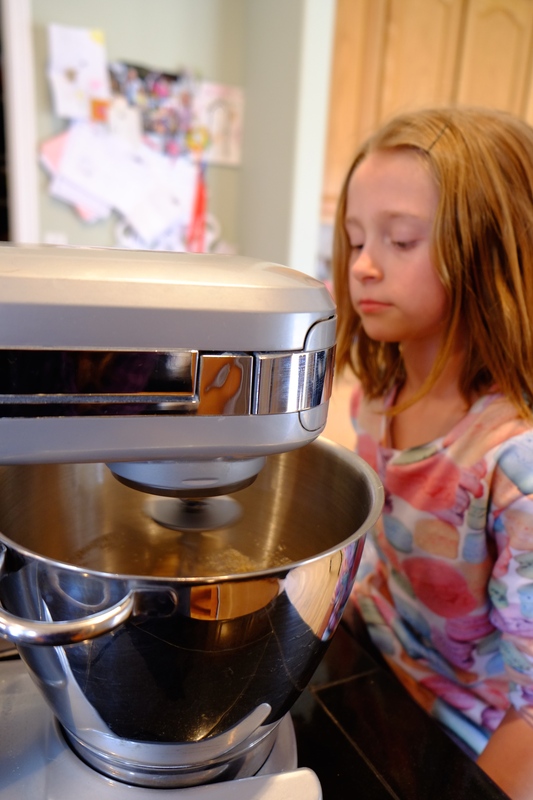 In a separate bowl, this one with a standing mixer fitted with the paddle attachment, beat the butter and sugars together until creamy, about 2 minutes. Add the egg, honey, and vanilla, and mix until well blended. Scrape down the sides and bottom of the bowl and beat again for another minute. Add the flour mixture all at once and beat just until the dough comes together. 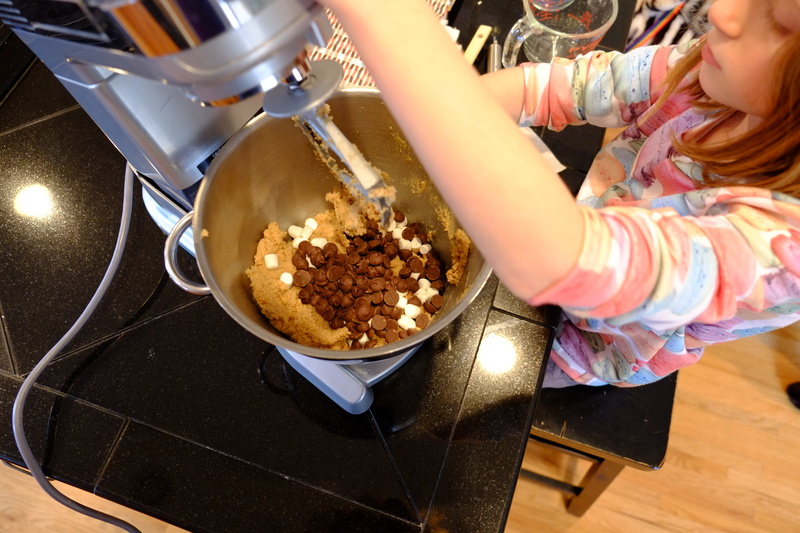 Add the chocolate chips and marshmallows, and mix again for 30 seconds. Turn the dough out onto plastic wrap, bundle up tightly and refrigerate for about 3 hours. Using a small ice-cream scoop or a spoon, scoop 2-tablespoon balls of dough and place them on the prepared baking sheets about 1 inch apart. Bake, rotating the pans halfway through the baking time, until the cookies are set and they begin to darken, 17 to 20 minutes. Set the sheets on wire racks for 10 minutes to cool. Transfer the cookies with a spatula to wire racks to cool completely. This entry was posted in Dessert and tagged chocolate, cookies, s'mores, summer. Bookmark the permalink.